In a drawer in my office desk, I keep my old canceled passports. Most people replace a passport about once every 10 years. That’s the government’s schedule. But I’m on a different schedule. You see, for years my career involved substantial foreign travel. Most of us think of travel as a pleasure. But after five weeks slogging through low-income housing developments in Southeast Asian megacities, trust me, you’ll think differently. So, I have a lot of canceled passports … because I kept running out of pages for visas and stamps from over 80 countries! Of all those countries, there are only a handful I go out of my way to visit again. And of those, there are only three or four where I’d be prepared to invest in land or residential property. At the end of November this year, I’m going to be speaking at an investment conference in the No. 1 country on my list … and I’m inviting you to join me. From November 29 to December 2, I’ll be attending the Uruguay Investment Tour at the Grand Hotel in the beachfront resort of Punta del Este. And if you’re interested in spectacular investment returns, you should join me. Uruguay is far and away one of the most profitable countries in the world when it comes to investment in land and real estate. And the upside is incredible. I’ve set out the case in this special report. You see, Uruguay has some of the world’s last underdeveloped fertile farmland. And this thinly populated country is willing to allow anyone to farm it … even from the comfort of their own home. For millions of years, the Rio de Plata has brought nutrient-rich sediment from the Amazon basin and dumped it on the plains to the north of the river mouth. Those plains sit atop one of the world’s largest unused aquifers. The soil and climate are perfect for cattle, row crops and forestry. They are so productive that tiny Uruguay produces a large proportion of the world’s supplies of those products. There are only 3.5 million Uruguayans. And most of them work in the country’s booming technology and service sectors in the capital, Montevideo. So a lot of that farmland is sitting unused. Uruguay’s farmland is also some of the cheapest on the planet relative to its potential. With prices only a half to a third of comparable U.S. farmland, the combination of profits and price appreciation means double-digit annual returns on farming investment. Paradoxically, it’s one of the most profitable agricultural sectors is forestry. That’s because Uruguay is home to one of the world’s largest pulp mills, supplying the world’s paper markets. That’s about as hands-off as you can get when it comes to farming. Then there is residential property. Punta del Este is the most popular beach resort in South America — possibly even in the Southern Hemisphere. Every summer, millions of Brazilians, Argentines, Chileans and even Europeans flock to its beaches. That’s why it’s possible to purchase an apartment in one of Punta’s many luxury blocks and recoup the entire investment in as little as three to five years! You can find anything from a two-bedroom apartment close to the ocean for $150,000 to a large four-bedroom home on a golf estate for around $500,000. 1. Uruguay is the only country in the world whose constitution guarantees that any qualified foreigner wishing to become a resident or citizen may do so. Those qualifications aren’t particularly challenging, either. All you need is a clean police record and a couple of thousand dollars a month in income. You don’t need to own property there. Many American retirees have relocated to Uruguay and live well on their U.S.-based retirement savings..
2. Uruguay is far and away the most developed country in Latin America. Its unique history and population structure means it is essentially European in character. Besides the Spanish language, it has almost nothing in common with the countries of Central America. Indeed, the standard of living far surpasses the rest of the continent. Infrastructure, telecommunications and health care are equal to or superior to the United States. You can get comprehensive health insurance for your entire household for a couple of hundred dollars a month! 3. Uruguay is one of the friendliest countries on the planet for foreign investors and their money. There are no limitations on the import or export of money or capital. You can use the Uruguayan peso or U.S. dollars. Its banks are the safest in Latin America and are happy to work with American clients. It has a friendly tax system, with no death tax, no double taxation of foreign income and generous tax breaks for business startups. 4. 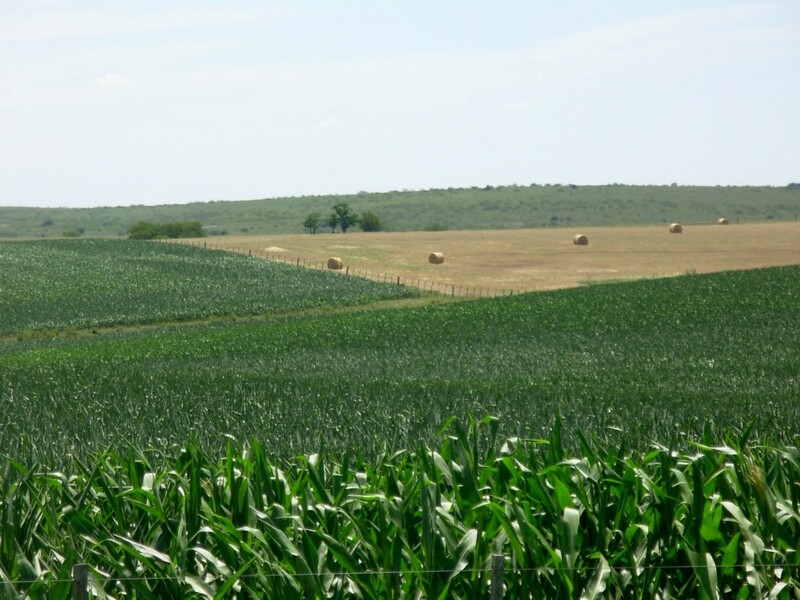 Uruguay has a well-developed property and farm management system. This allows foreigners to own agricultural property without having to manage it actively. Most of the American investors I know who have bought in Uruguay either rent out their farmland or pay a manager to run it. Uruguay’s cost structure, openness to foreigners, and high level of infrastructure and development make it the perfect place to invest offshore. North Americans and Europeans have been doing this for over a decade now … and I’ve been watching them reap the rewards. So, take a chance on Uruguay. Join me for the Uruguay investment tour at the end of November. No matter what happens, I guarantee you’ll enjoy the trip … and you may just end up making an investment you didn’t even know existed!